One of the many challenges facing fast-growth small to midsized enterprises (SMEs) is that the business software they use to reach their current stage of growth can’t always keep pace with their needs for tomorrow. While accounting applications like QuickBooks can support a business through the start-up phase of and beyond, it doesn’t necessarily ride with a business all the way to the top. To the credit of accounting software publishers, these applications do what they do well – primarily supporting primary small business accounting functionality. The important caveat being that they don’t have much of a product roadmap to outline the development of new features needed to support your business growth into the future. Accounting applications publishers have the expectation that you'll outgrow the solution and move to enterprise resource planning (ERP) sooner or later. As a business grows, it’s beneficial to choose a scalable platform that’s able to come along for the rest of an SME’s journey. Scalability is one of the areas where SAP Business One excels. And unlike some accounting application publishers on the market, SAP makes available a product roadmap for their flagship ERP solution – giving an overview of the solution today and insight into the planned innovations. 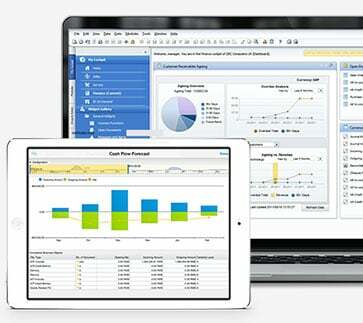 If you’re unfamiliar with SAP Business One, it’s SAP’s flagship business management solution for the midmarket. It streamlines all key processes from accounting and customer relationship management to supply chain management and purchasing. 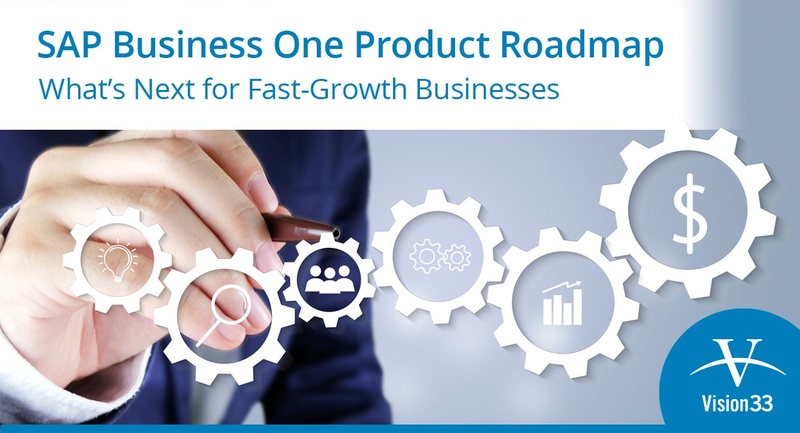 Through the SAP Business One roadmap, users can learn about innovation across three timelines: recent innovations that describe features now available, planned innovations that describe short-to-midterm product releases, and product direction which provide long-term perspectives on high-level development plans informed by the requirements of business users. Part of SAP’s vision is to provide a highly competitive solution, attractive maintenance model, enhanced localisations, and continuous improvements; fully focus on leveraging SAP HANA. If your current solution doesn’t place a high priority on customer value, then consider switching. SAP’s view on customer value is evident in their investment in flexible technologies and innovation which in turn translates into a lower total cost of ownership for users. Ultimately this supports faster adoption of world-class ERP for new business models, customer growth, and further product specialisation to meet the needs of specific industry users. Some business users still may not be aware of the transformative power of SAP HANA’s reporting (if so, check out the SAP HANA blog series) but suffice to say SAP is committed to extended access to its in-memory analytics platform by providing web client a service layer for SAP Business One version for SAP HANA. Flexibility has always been a hallmark of the SAP Business One solution. SAP offers an advanced developer experience on the service layer for SAP HANA, including new design concepts, APIs, objects, and tools. No two businesses are alike so SAP Business One has the tools available to be further customised to meet the needs of all businesses. Today’s workforce is highly mobile. SAP continues to accelerate cloud transformation and drive mobile adoption; offer maximum flexibility, low complexity, and best control of the business for SMEs. With the SAP Business One mobile app for iOS, users can process approval requests, view reports, and business content, as well as manage business partner data, monitor sales opportunities and much more. Safe to say, SAP Business One is a great investment for any fast-growth business looking for a solution that will continue to co-evolve as their business needs change. To learn more about SAP Business One features and functionality, access the SAP Business One information kit.